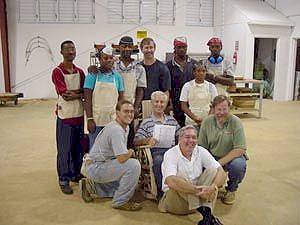 The Caribbean Christian Center for the Deaf, was formed to reach the deaf of the world, through Villages and Churches. Upon graduation, the deaf are faced with the devastating reality that though they are capable and well trained, their potential employer does not know Sign Language and is unable to adequately communicate with them. Consequently, they are with out a job and have no money for food, clothes and toothpaste. At home there are no friends with whom they can establish close relationships. And why go to church? There is no one to interpret the message for them. CCCD is creating villages in which the deaf will be provided with employment in a factory, a house within their village, forming a community with other deaf with whom they can have fellowship. 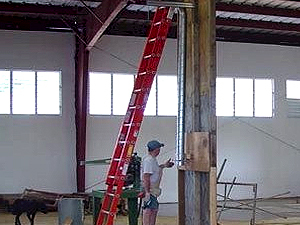 One such factory is a woodworking shop located in Jamaica. This shop produces beautiful oak rocking chairs. 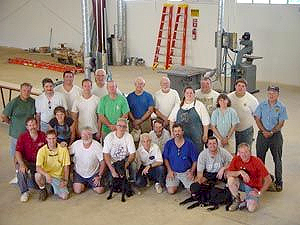 The shop was set up by volunteers including Jon Canatella from Baldwin Mill Cabinetry and a crew including a few carpenters, two electricians and a bunch of lay people who completed the installation in 5 Â½ days this past spring. Jon then returned this past summer to help educate the students. During the training session they built 5 chairs. Once the factory was in full production they quickly produced over 120 chairs in just a few weeks. 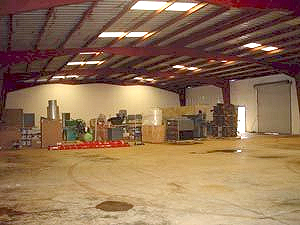 Empty Building. 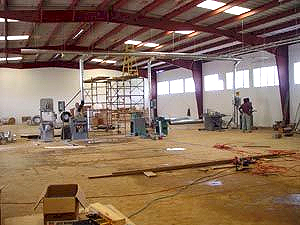 With all the ductwork and machinery still in boxes and crates.Caribbean Christian Center for the Deaf. Laying out the fittings. 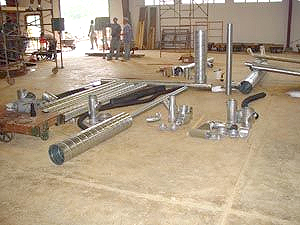 And starting sub-assembles on the floor providing for an easier installation. Beginning of installation. The main has been suspended from the ceiling and the first couple branches have been installed. Installing the branch for the radial arm saw. 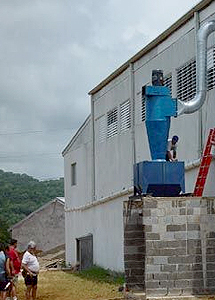 Initial installation of Dust Collector. 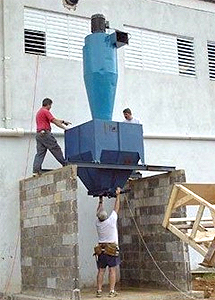 Finishing installation of Dust Collector. Waste container for wood dust will be placed between concrete walls. 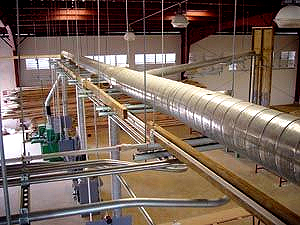 All utilities are suspended from the ceiling and run along with the ductwork for an efficient installation. Team of volunteers who worked 5 1/2 days to install ductwork, set up machinery, and all other utilities including electrical and air. Students staining their first chair. 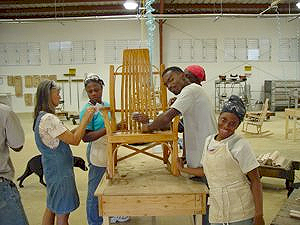 Teachers and Students and their FIRST rocking chair.